Captivated from early childhood by the splendor of the soaring peaks and powerful rivers of the Intermountain West, there was never a doubt that Asher would carve a career path in recreation and conservation marketing. For the past 10 years, this professional fly fishing guide has worked at becoming a creative force in storytelling via photography, film and copy in the creative, editorial and commercial spaces. 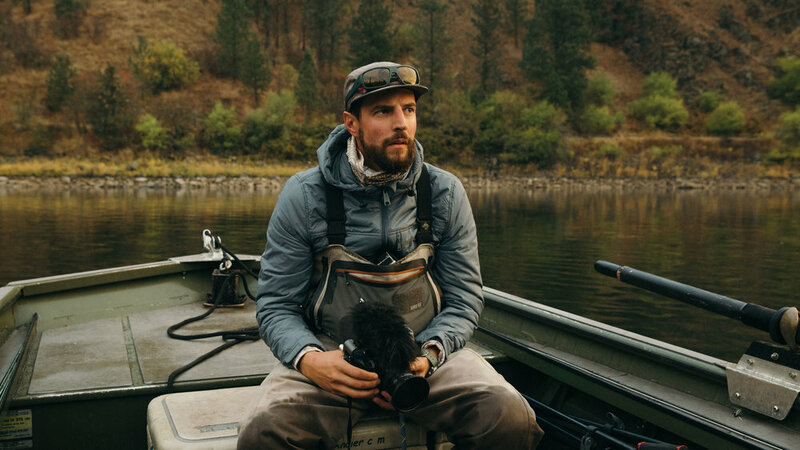 His obsession with the human/nature relationship, and his commitment to the ethics and impacts surrounding the lifestyles of fly fishing, snowboarding and modern wanderlust, provide Asher with a unique lens on promoting and capturing the essence of the outdoor experience. He is currently dedicating his attention to a variety of clients in the outdoor industry and conservation world in need of his ability to weave creative, compelling stories embedded in nature and responsible recreation. Asher’s produced assets for: Suunto, the Utah Board of Tourism, Arbor Snowboards, The North Face 10 Barrel Brewing, Arcade Belts, Zeal Optics, Scientific Anglers, Hatch Reels, R.L. Winston Rod Company, Simms Fishing, among several others. His passion for ecological stewardship has led him to work with several non-profit partners like: Wild Steelhead Coalition, Save Our Canyons, Native Fish Society, Trout Unlimited, and Round River Conservation Studies. Asher brings a keen and holistic production sense to the conception of every project -- from strategizing, generating ideas and scripting; providing videography, still photography, and digital and print content; and offering organizational and logistical expertise – that he mindfully maintains to the completion of final edited piece. Depending on the season, you can find Asher in the backcountry with his fly rod, snowboard and camera in tow, always wondering what’s over the ridge and around the bend.